Nora Sands is the London correspondent for the Danish weekly magazine Globalt. When she buys a used leather suitcase, tucked inside are old pictures of teenage girls. One of the pictures is of two girls on a Danish ferry. They disappeared in the 80s. This leads Sands to serial killer William Hickley and she realizes that the suitcase has brought her to places darker and deeper than she imagined. Her personal life becomes complicated when Andreas, a friend from the past, arrives in town and wants to reconnect with her. 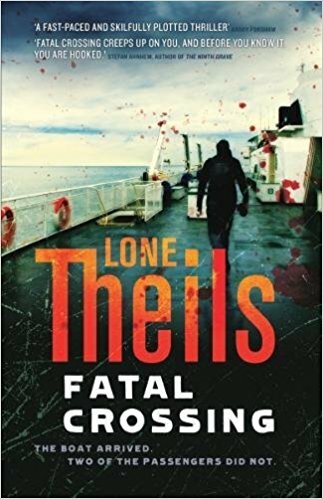 Lone Thiels’ debut book has been a great success in Denmark which bodes well for publication further afield of Europe. Fatal Crossing is not yet available in North America.